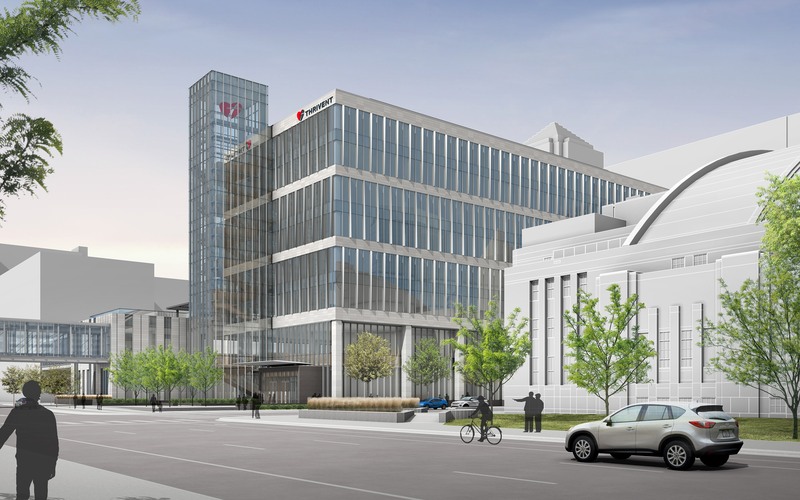 Thrivent Financial recently broke ground on their 275,000 GSF corporate headquarters office building, which will be eight stories with two levels of parking below. The new headquarters will create a modern, agile workplace, which will transform how Thrivent works, and will be adaptable and flexible in the years to come. A key design challenge has been to design for long-term flexibility. The design team is working with the client to create an agile floor plan, with fixed elements at the building core, which can serve multiple functions, along with an open, flexible office floor plate.